We decided to sign the girls up for an extra-cirricular activity. 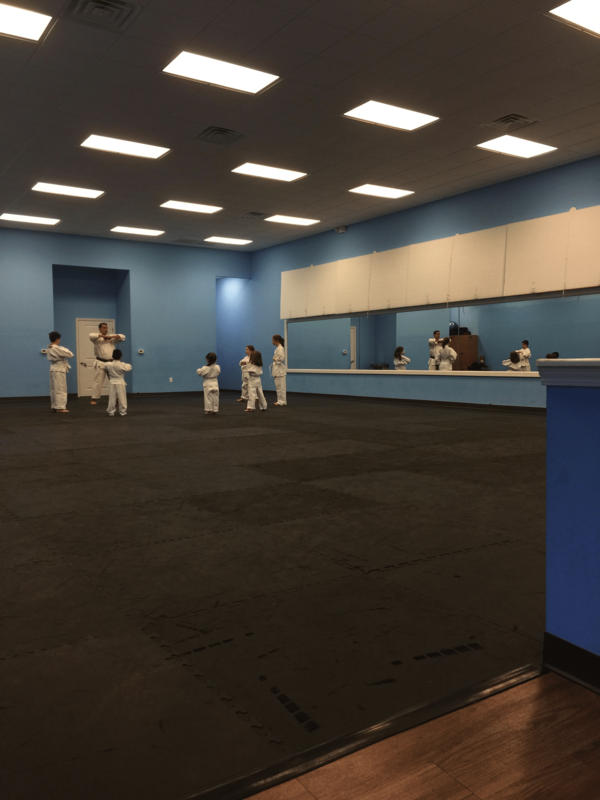 After looking around for something that would work for all of them and talking with a friend, we decided on martial arts. So far, it’s been a huge win for the older three girls. However, it’s been a little harder on B. 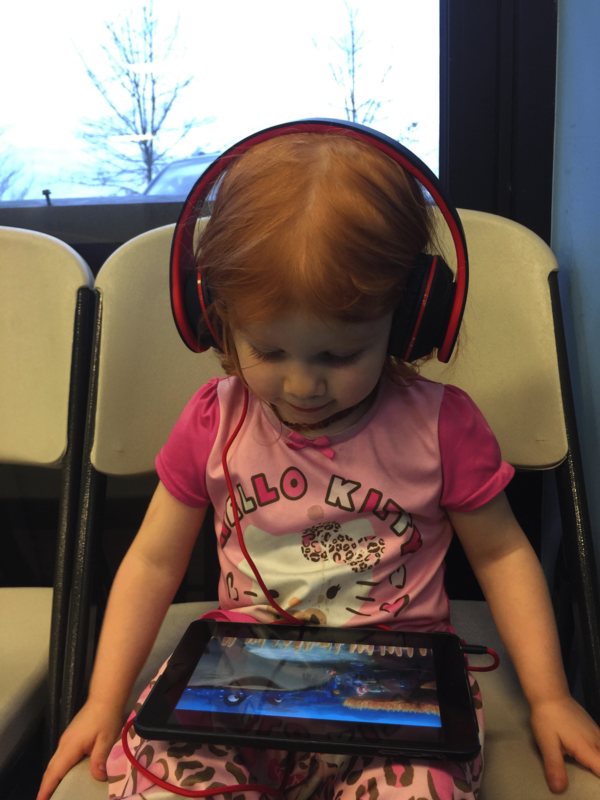 She will play on the iPad or watch a movie for a little bit, but sitting there for an hour is hard. Especially when they have “end of class fun” that involves throwing balls. Sometimes she gets to join them. I kind of might have also talked her into throwing her paci away this weekend. So, it’s been a rough week. Oh, and potty training…oye! She wanted to hop in bed with me in the morning and asked for snuggles. When asked for a picture, she said she wanted to make a sad face. Done. I’ll take them when I can get them. I know her love language definitely isn’t physical touch. Truth be told, I’m not sure what her love language is. Maybe it’s snacks? Snacks are always a winner with my kids! 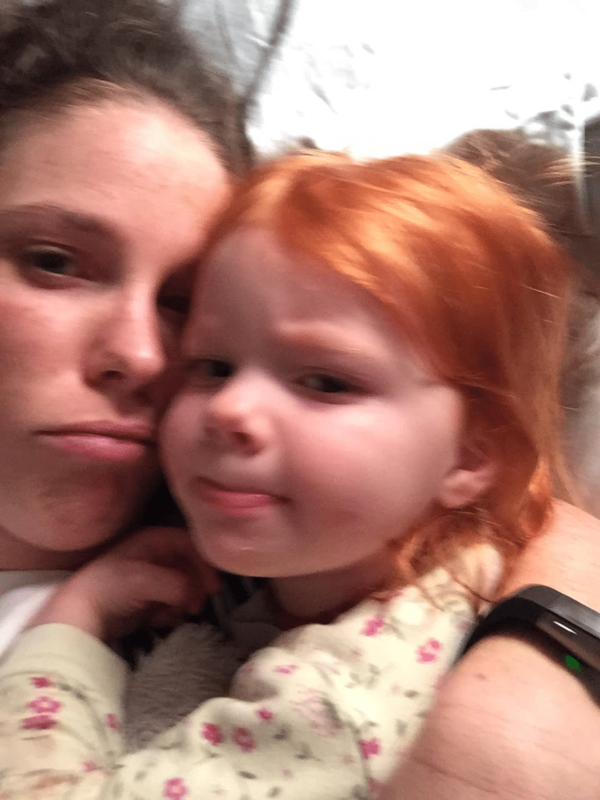 I miss the tiny, cuddly days and will take any opportunity I can get to cuddle my 2. Exactly! They are sooooo few and far between lately.